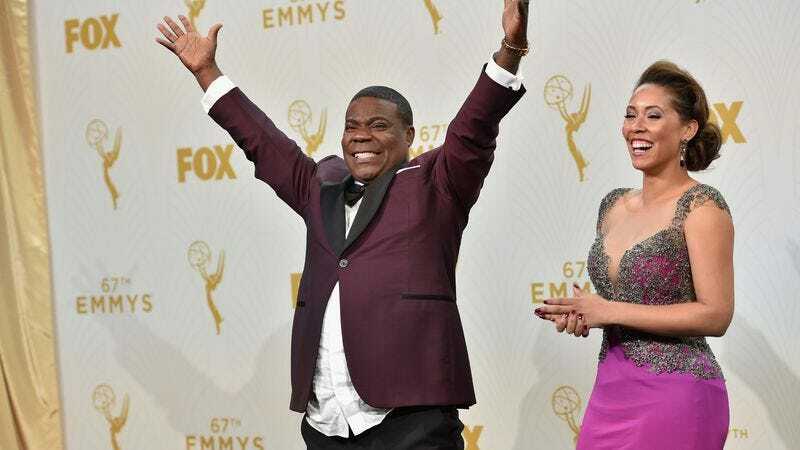 A little over a year after suffering a traumatic brain injury in a car accident that also killed comedian James “Jimmy Mack” McNair, The Wrap is reporting that Tracy Morgan is set to star alongside Charlie Day and Ice Cube in the upcoming comedy Fist Fight. This will be Morgan’s first film role since the accident, which is especially notable because early reports suggested that he might never be able to perform again. This news also comes just after Morgan’s touching appearance at the Emmy Awards, during which he cracked a few jokes to show the audience that he still felt like himself. He’ll also host the October 17 episode of Saturday Night Live. Fist Fight will be directed by It’s Always Sunny In Philadelphia veteran Richie Keen, and—fittingly, given the title—it’s about “a mild-mannered teacher” (Day, playing against type) who “is challenged to a fist fight by a much tougher colleague” (Cube). We don’t know who Morgan will be playing, but Dean Norris will play the school’s principal, so this sounds like a rad place to take a class anyway.